A memorable catch by a Giants player that saves the game? Check. A game-winning drive by Eli Manning to secure a lead with basically no time left on the clock? Check. Tom Brady losing to the New York Giants in a Super Bowl? Check. If I didn’t know any better, I would have thought NBC/CTV was airing the 2007 Super Bowl. It was “Deja Blue” all over again. Lightning struck for a second time. 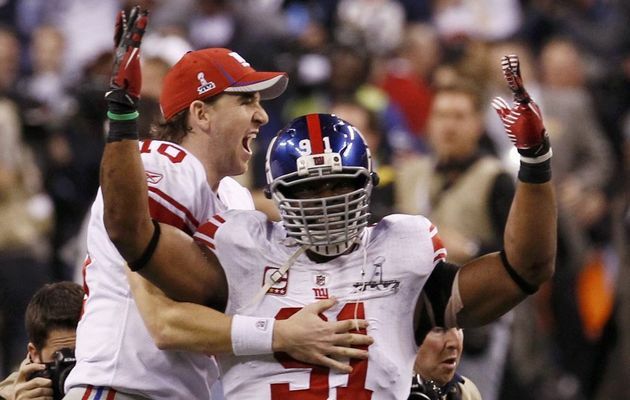 The New York Giants have beaten the New England Patriots in a Super Bowl yet again. Eli Manning has shocked the world and defeated the great Tom Brady on the big stage one more time. So how did Eli and the Giants pull it off? The odds of a safety being the first score in the Super Bowl were 1000-1. Tom Brady wasn’t exactly sacked, but he did get called for intentional grounding in the end-zone because he threw the ball to a part of the field where there were no receivers. This one play set the tone for the rest of the game. It rattled the Patriots offense and put doubt into Brady’s head. It was a gutsy call on the referees part, but it was absolutely the right call to make. It wasn’t as breathtaking as the David Tyree catch, but it was definitely a more skilled grab. Mario was covered by two defenders and still found a way to make the catch and keep both of his feet in-bounds. Patriots coach Bill Belichek challenged the call on the field, but ended up losing a timeout because of it. An extra timeout would have been huge at the end of the game when the Patriots were to trying to make a comeback in the final minute. I’m surprised a challenge was even made in the first place. Bill was standing along the sideline where the catch was made. He should have been able to see that it had stayed in-bounds. This was an unnecessary risk on Brady’s part. He was able to successfully dodge the sack at the start of the play, but throwing the ball down the middle of the field like that to a tight end who is nursing an injured ankle was not a smart move. The Giants caught a lot of breaks in this game. The Blackburn interception was a major one. If Gronkowski was REALLY playing at 100%, then that interception may not have happened. That shouldn’t take anything away from Blackburn though. It was a huge momentum shifting defensive play. If Wes Welker catches this ball, the Patriots win the Super Bowl. It’s as simple as that. Welker is a clutch receiver who usually makes catches like this 100% of the time, but unfortunately on this occasion the ball managed to get away from him. The pass wasn’t perfect, but it was still an obtainable ball. He may not deserve all of the grief, but this blown catch could possibly follow him for the rest of his career. Eli Manning had himself one hell of an outing completing 75% of his passes for 296 yards and a touchdown. He was calm, cool and collected on the game-ending drive that won the game and proved that he belongs in the top-tier of quarterbacks in the NFL. All of the critics and skeptics who laughed at Eli when he said that he was an elite quarterback need to eat their words. At only 31 years of age, he now has 2 Super Bowls and 2 Super Bowl MVP’s on his resume. The fact that this game was so close from start to finish just goes to show how evenly matched these teams were. The biggest lead of the game was 9-0 New York, but we all knew that wasn’t going to last. Does this loss tarnish Belichek and Brady in any way? I don’t think so. Whoever had the ball at the end of the game was going to win. Eli and the Giants offense were able to take a significant amount of time off the clock before scoring their game-winning touchdown. Tom Brady is a tremendous quarterback, but there is only so much a guy can do with 56 seconds and 2 time-outs against an elite defense like the Giants. New York was able to catch breaks at the right times, make the big play when it counted and ultimately that led to a 2nd Super Bowl win against New England. We as football fans have been truly blessed with some great Super Bowls in recent years. 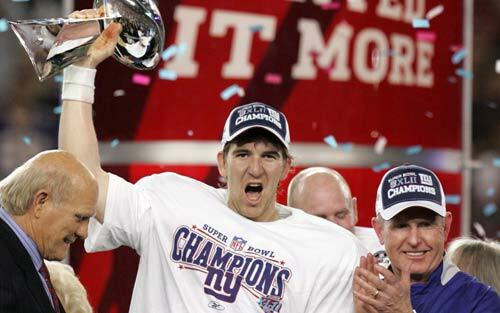 The New York Giants vs New England Patriots at Super Bowl XLVI will resonate in my mind for quite some time. An amazing effort was put forth by both teams. Only 1 team can emerge as the best of the best each year though. 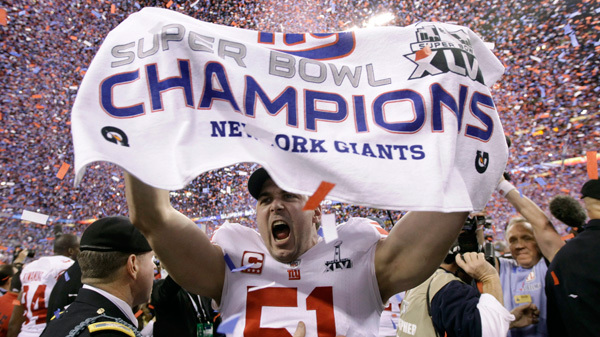 So my congratulations go out to the 2012 Super Bowl Champion New York Giants. What an amazing playoffs! What an amazing Super Bowl! This entry was posted in NFL and tagged Ahmad Bradshaw, Bill Belichek, Chase Blackburn, Eli Manning, Football, Giants Win, Hakeem Nicks, Halftime Show, M.I.A, Madonna, Mario Manningham, New England Patriots, New York Giants, Rob Gronkowski, Safety, Sports, Super Bowl XLVI, Tom Brady, Tom Coughlin, Wes Welker. Bookmark the permalink.